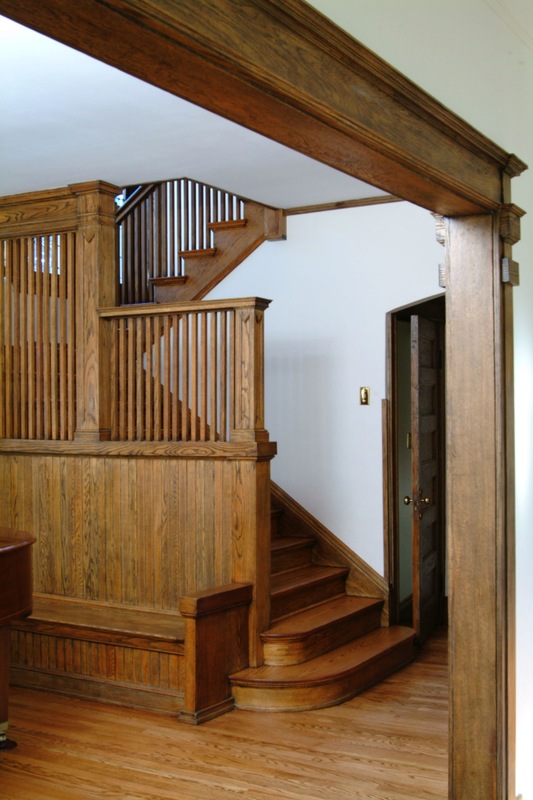 This stairwell is nearly 100 years old, the age at which wood officially acquires antique status. That’s why, when Oak Brothers restored it, we didn’t just do a quick “strip and refinishing” job. Instead, we drew upon 30 years of experience in furniture restoration, applying these same principles and practices to the repair and restoration of this irreplaceable architectural element. What we ended up with is a set of antique quality architectural wood restoration procedures that recovers the integrity of historic and vintage wood elements. See Our Restoration Process for an example of our trademark wood restoration procedures. Repair Work: Because wood is so lively, it can often be healed rather than repaired. Finishing the Wood: A job begun well is ruined if it isn’t finished well. © 2017 Oak Brothers. All Rights Reserved.